Rahman was interacting with media at the music launch of Marathi film "Maaza Agadbam." MUMBAI: Veteran music composer A.R. Rahman says Indian culture has to be marketed to the children here first. He feels Marathi cinema has been successful in doing over the last few years. Rahman was interacting with media at the music launch of Marathi film "Maaza Agadbam", along with film's lead actors Subodh Bhave and Trupti Bhoir, music composer T. Satish Chakravarthy, producer Jayantilal Gada here on Saturday. Marathi cinema is known for its content driven movies. Since the last few years, it has been able to mark its presence at the National Film Awards and international film festivals. 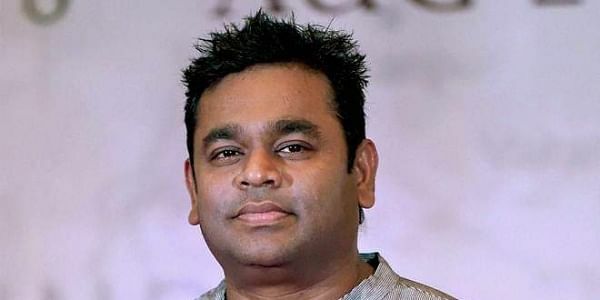 Asked what he feels about Marathi cinema, Rahman said: "It has become very bold. What I like about Marathi cinema is, most of the cinema which I have watched is based on Indian classical music and I always feel it is less in mainstream cinema. I think because of the budgets also and within that budget, you show tradition beautifully. Music, mainly classical music, adds value to the film... so that's great. "Marathi cinema shows its culture and presents it to the international audience. Now Netflix and all those content streaming apps are there, so the international audience sees our culture and gets amazed about it. But it is important that we take our culture and put it in a way where our kids like it. We have to market our culture to our kids first and that's what Marathi cinema has been doing beautifully." When will he compose music for a Marathi film? "My passion is also classical music. I have been doing all kinds of music and I have been working with all kind of musicians. I have been doing research for 4-5 years about Indian classical ragas to see how to put them into mainstream movies. "With younger people, when you play Indian classical ragas, they feel it is boring because of the way it is presented. I feel it's not right, so we have been researching and 4-5 years of my life has gone in it... That's why I am doing less movies. So if something comes close comes to what I believe, I am sure I will do that." On the reason behind attending the music launch of "Maaza Agadbam", Rahman said: "I am here because Satish (Chakravarthy) who has composed music of this film assisted me around 5-6 years. I love Satish and I love Marathi cinema and I have great respect for Marathi cinema." "Majha Agadbam" revolves around wrestling. It will release on October 26.